Dr. Mrityunjay Singh is Chief Scientist, Ohio Aerospace Institute, NASA Glenn Research Center, Cleveland, Ohio. He is Academician of the World Academy of Ceramics and currently serves as President of the Nomination Committee as well as member of the Advisory Board of the academy. He is a Fellow of the American Ceramic Society, ASM International, and American Association for the Advancement of Science (AAAS). 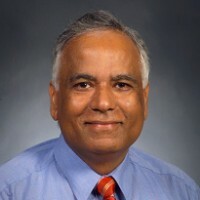 He is the recipient of more than forty five national and international awards, including four R&D 100 awards, FLC Technology Transfer Award, EDI Innovation Award, NASA Public Service Medal, NASA Silver Snoopy Award, Order of the Enterprise Award from NASA GRC, two NorTech Innovation Awards, and numerous NASA Group Achievement Awards. He has received Ishikawa International Carbon Prize from Ishikawa Carbon Science and Technology Foundation; Japan Fine Ceramics Association International Prize; and Gottfried Wagner Memorial Award from Japan, International Award from the European Ceramic Society, ASM International-IIM Visiting Lectureship, Jacques-Lucas Award from ASM International-International Metallographic Society, Distinguished Engineering Achievement Award from Engineers Council, and Madan Mohan Malviya Award from the Indian Ceramic Society. He has received John Jeppson Medal and Award, President Award, Richard M. Fulrath Award, Samuel Geijsbeek Award, and James I. Mueller Awards from the American Ceramic Society. He received Distinguished Alumnus Award from Banaras Hindu University, Varanasi, India. He has also received Lee Hsun Award from Chinese Academy of Sciences-IMR, Shenyang; Honorary Professorships from Harbin Institute of Technology, Harbin; Beijing University of Technology, Beijing; and Nothwestern Polytechnical University, Xian, China. He has been elected as member of International Institute for the Science of Sintering (IISS), Belgrade, Serbia and has also received honorary membership from Materials Research Society of India. He has edited/co-edited more than forty books and five journal volumes, authored/co-authored ten book chapters/invited reviews and more than two hundred fifty papers in journals and proceedings. He has delivered numerous keynote and plenary presentations in international conferences, forums, and workshops all over the world. He has chaired/co-chaired numerous international conferences and currently serves on the advisory boards and committees of more than a dozen highly respected international journals and technical publications.